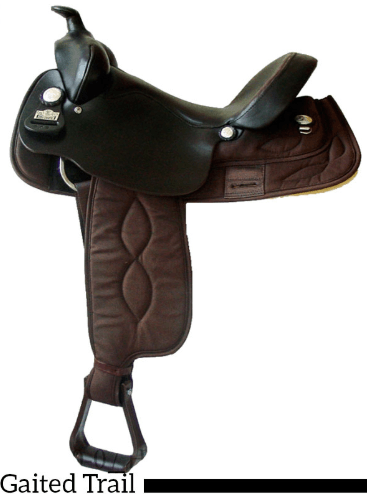 Another Big Horn winner. 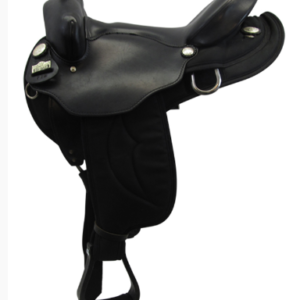 This gaited saddle is built with the high-withered horse in mind. 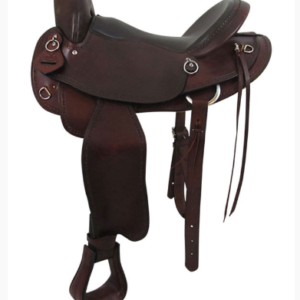 It’s built on a fiberglass, reinforced wood tree for extra strength and designed with the gaited horse in mind. 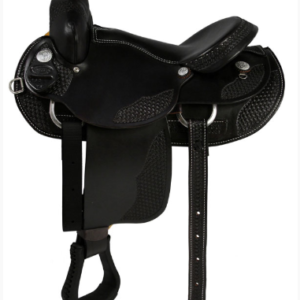 This is an extremely lightweight saddle, and that’s because of the Cordura skirt and fenders, while the 16-inch grain-out seat and soft, smooth leather pommel and jockeys add durability. 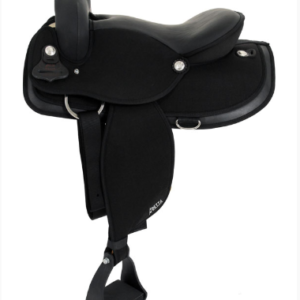 For more information on Cordura saddles, please see my in-depth review of Big Horn Cordura Saddles.